Experience cultural immersion on our La Dolce Vita tour, where learning takes place against a dramatic backdrop of iconic museums, landmarks and ancient ruins. 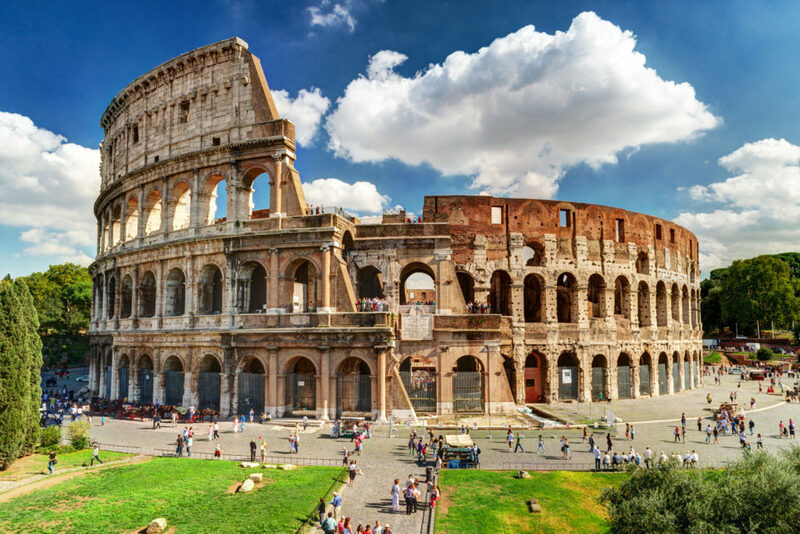 Imagine yourself as a gladiator at the Colosseum, gaze at the ceiling in the Sistine Chapel, attend language lessons in Florence and walk the many famous bridges over the canals of Venice. Board your flight Depart Australia for Rome, Italy. Explore Arrive in Rome. Enjoy a free day to explore the city and see it's historic sights. Guided Tour Discover Ancient Rome with a half day guided tour of the city’s ancient sites including the Colosseum, the Arch of Constantine and the Roman Forum. Vatican City Explore the Vatican City along with its many museums on a half day guided tour. Visit the Sistine Chapel and St Peter’s Basilica. On the move Journey along the Amalfi Coast to the city of Sorrento. Overlooking the Bay of Naples, Sorrento’s sea cliffs and luxury hotels have made it a well-known spot for the rich and famous. Discover Pompeii Experience a guided tour of the Ancient ruins of Pompeii, the lost city buried by ash after a volcanic explosion! On the move Head to Florence - one of Italy’s most beautiful cities, known for its magnificent architecture and art. First Lesson Join your classmates for your first of three History, Art or Language lessons. Free time Enjoy an afternoon of free time to explore the city. Second Lesson Join your classmates for your second History, Art or Language lesson. Free time Enjoy an afternoon of free time to soak up the culture of the city. Third Lesson Join your classmates for your third and final History, Art or Language lesson. Free time Enjoy an afternoon of free time experiencing all that Florence has to offer. Explore Arrive in Venice, spend the afternoon exploring the ancient city. Wander You’re free to roam the city to take in the sights; including the Doge’s Palace, the Bridge of Sighs, glassblowing on the islands of Murano and Burano. A tour of Milan Arrive in Milan and enjoy a half day guided tour of the city, visiting il Duomo, La Scala Opera House and the church of Santa Maria Delle Grazie. Final Farewell Say arrivederci to Italy as you board your flight home to Australia. Thank you for your interest in our WorldStrides La Dolce Vita – Italy Tour! Please tell us a little more about yourself so we can get you sent to the right place.